Whether your pain is from arthritis, bad sitting posture or an old injury, you need to find a way to get your pain under control. What's the best approach to do that? 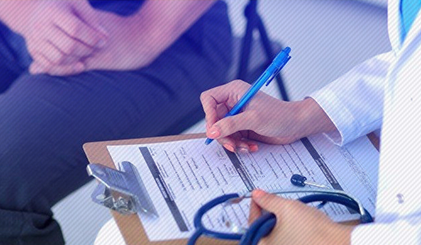 The first step is scheduling an appointment with our doctor for a full, thorough consultation and examination to determine the cause of your pain. Once we have discovered the source of your pain, we can work to build an effective treatment plan to get the relief you need. Ankle pain is one of the most common musculoskeletal injuries caused by injuries such as sprains and strains from sports or by stepping off an uneven surface or diseases and conditions such as rheumatoid arthritis or gout or ill-fitting shoes or long periods of rest. Many patients believe that once pain stops, treatment is no longer needed however this is rarely the case. 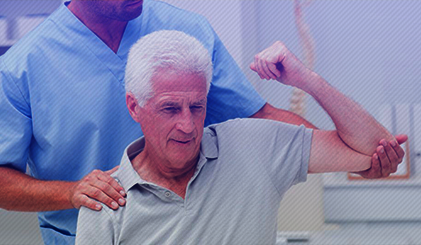 Physiotherapy is essential as the surrounding ligaments and muscles need to be strengthened after injuries. Even if the pain has stopped, by halting treatment, you are potentially increasing the risk of another injury. Elastic Bandage is not the treatment for a sprained ankle. Back pain is very common pain found in most of the adults. Approximately eight out of ten people will experience back pain at some point in their lifetime. Most of the time, this is from normal wear and tear on the body and can increase over time. Some back pain can arise from sprains; overstretching or tearing ligaments, strains; torn tendons or muscles or other injuries. 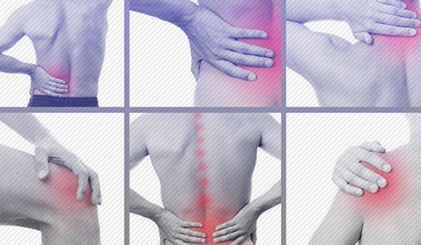 Back pain can worsened by prolonged rest or inactivity, prolonged sitting or standing. Common types of low back pain include: Herniated or ruptured discs, Sciatica and other radiculopathy, Spinal stenosis. Carpal tunnel syndrome can occur when one of the major nerves to the hand – the median nerve – is squeezed or compressed as it travels through the wrist called the carpal tunnel, and ends in the hand. The median controls the movement and feeling of your thumb, and also the movement of all your fingers except your pinky finger. Often, people don't know what brought on their carpal tunnel syndrome. But it can happen due to: Repetitive motions, like typing or any motions of the wrist that you do over and over. This is especially true of actions when your hands are lower than your wrist and due to other Conditions like hypothyroidism, obesity, diabetes and Pregnancy. Most common neck pain is caused by activities that involve repeated or prolonged movements of the neck. This can result in a strain, a sprain, or a spasm of the neck muscles and severe neck injuries may occur due to Whiplash in a car accident, falling from significant heights, direct blows to the face or to the back or top of the head and sports-related accidents. 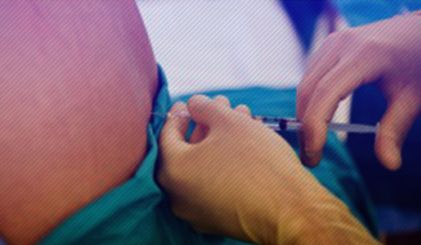 Epidurolysis involves inserting a needle through skin and deeper tissues (like a “tetanus shot”). So, there is some discomfort involved. However, we numb the skin and deeper tissues with a local anesthetic using a very thin needle prior to inserting the epidural needle. The patients also receive intravenous sedation and analgesia, which makes the procedure easy to tolerate. This procedure is used to loosen and dissolve some of the scar tissue from around entrapped nerves in the epidural space of spine. The purpose of this procedure is to allow medications to reach affected nerves so that pain and other symptoms may be diminished, and to make scar tissue less painful. Scarring is most commonly caused from bleeding into the Epidural space following back surgery and the subsequent healing process or surgical intervention. Sometimes scarring can also occur when a disk ruptures and its contents leak out. Medicines are injected to the spinal nerve through the epidural space, the area between the protective covering of the spinal nerves and bony vertebrae with the aid of a fluoroscope (a special X-ray). Pain relief may last for several days or even years. The goal is to reduce pain so that you may resume normal activities and a physical therapy program. 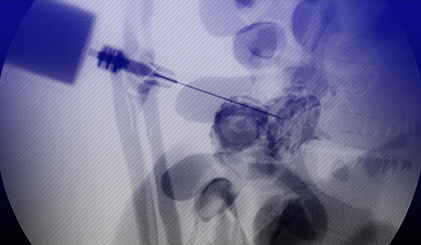 A facet joint injection is a relatively simple, straightforward procedure. 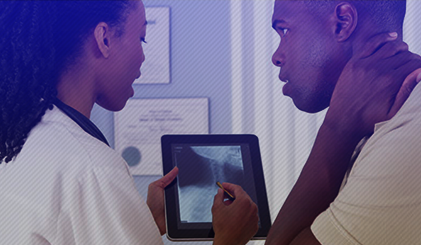 By using fluoroscopic (a special X-ray) guidance, physicians are able to see and accurately target the affected joint(s). Facet joints are the small joints located between each vertebra that provide the spine with both stability and flexibility. Facet syndrome occurs when one or more of these joints become inflamed or irritated. Arthritis occurs when the cartilage lining the joint surface shrinks and wears thin, causing stress on the bone (bone spurs), inflammation, and enlargement of the joint. 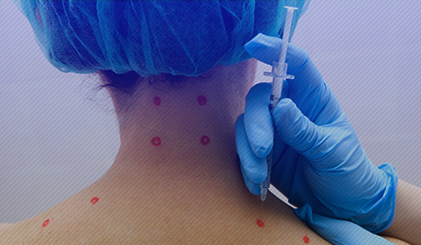 Facet joint injections usually take 20 to 30 minutes. The bones, connective tissue and small joints of the hands and wrists are prone to several types of injuries. 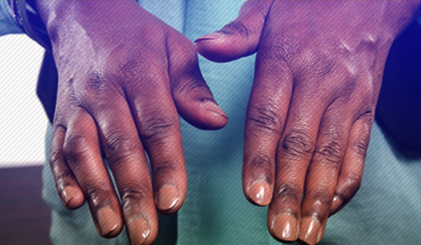 Hand / Wrist pain is often caused by sprains or fractures from sudden injuries. But wrist pain can also result from long-term problems, such as repetitive stress, arthritis and carpal tunnel syndrome. Hip pain is a common complaint that can be caused by a wide variety of problems. 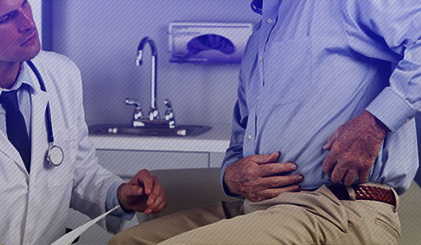 The precise location of your hip pain can provide valuable clues about the underlying cause. Abnormalities of the skin, nerves, bones, joints, blood vessels, and soft tissues of the hip can all result in pain. Sometimes diseases that affect other joints in the body, such as the inflammation resulting from arthritis, can be the cause of pain in the hip. Depending upon the cause of hip pain, the pain may occur when walking, running, or engaging in activity. Other causes could be due to hip labral tear, sprains & strains, tendinitis and pinched nerves. Hip pain may not always feels like a hip pain, it can also feel more like you pulled a muscle in your groin. Most people have had a minor knee problem at one time or another. It can originate in any of the bony structures compromising the knee joint (femur, tibia, and fibula), the kneecap (patella), or the ligaments and cartilage (meniscus) of the knee. Knee pain can be aggravated by exercise, affected by the surrounding muscles and their movements, and be triggered by other problems (such as a foot injury). Knee pain can affect people of all ages. The location of the knee pain can vary depending on which structure is involved. With infection or an inflammatory process, the whole knee might be swollen and painful, while a torn meniscus or fracture of a bone gives symptoms only in one specific location. A Baker cyst will usually cause pain in the back of the knee. Other reasons being osteoporosis or arthritis. Pushing through the pain will not get you out of Knee pain. Kyphoplasty or Vertebroplasty is a minimally invasive procedure designed to stop the pain caused by a spinal fracture, to stabilize the bone, and to restore some or all of the lost vertebral body height due to the compression fracture. During the procedure, orthopedic balloons are used to gently elevate the fractured vertebra in an attempt to return it to the correct position. Bone cement is then injected to stabilize the fracture. Kyphoplasty takes up to one hour per fracture level treated. It can be done, depending on your overall state of health as determined by the physician. Patients often experience relief from spinal fracture pain one week after the procedure and results have shown faster and greater improvement in back pain relief, back function and quality of life. 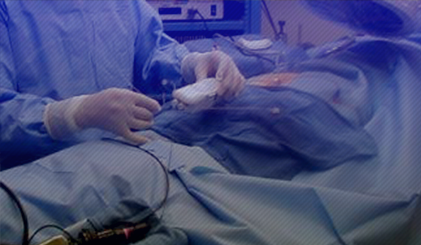 The Racz Procedure is a minimally invasive procedure that was developed in the late 1980′s by Dr. Gabor Racz. The procedure has proven effective treating chronic back and neck pain due to scar tissue formation. Scar tissue can form around nerve roots causing constant unrelenting pain. 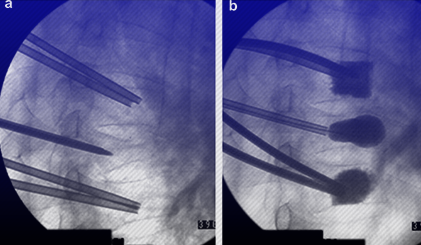 Adhesions are typically formed due to inflammation and irritation in the epidural space. These adhesions can aggravate nearby nerve roots causing intense pain. Scar tissue can frequently result in irritated and inflamed nerves, which can cause pain that radiates from the low back into the legs. Most commonly, people who present with neck or back pain due to scar tissue formation have had prior surgeries or prolonged neck or back pain. After spinal surgery, adhesions develop and are thought to be the cause of recurrent pain. Radiofrequency ablation is a nonsurgical, minimally invasive procedure that uses heat to reduce or stop the transmission of pain. Radiofrequency waves ablate the nerve that is causing the pain, essentially eliminating the transmission of pain signals to the brain. This procedure is most commonly used to treat chronic pain and conditions such as arthritis of the spine (spondylosis) and sacroilitis. It is also used to treat neck, back, knee, pelvic and peripheral nerve pain. 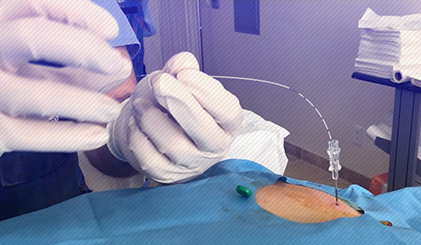 The benefits of radiofrequency ablation include: avoiding surgery, immediate pain relief, little to no recovery time, decreased need for pain medication, improved function, and a quicker return to work and other activities. 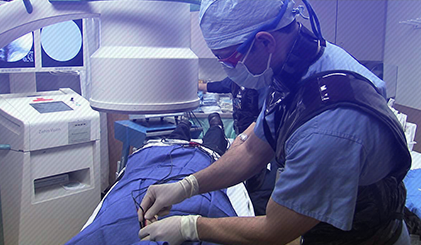 Spinal cord Stimulation use mild electric pulses which are delivered through a device to relieve chronic pain. 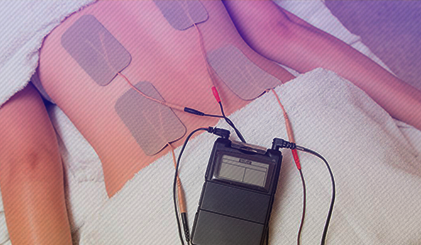 These electric pulses block the nerve impulses in the spine that makes you feel pain. When other treatments don’t give you enough pain relief, stimulation may be an option. Stimulation reduces or eliminates the need for pain medication. It is also called neurostimulation. Most patients who get a spinal cord stimulator saw 50-70% reduction in pain. However, even a small amount of pain reduction can be significant if it helps you to perform your daily activities with less pain and reduces the amount of pain medication you take. Shoulder pain is a common ache estimated, as many as 67% of people experience it in their lives. The shoulder is made up of bones held in place by muscles, tendons, and ligaments. A number of factors and conditions can contribute to shoulder pain. The most prevalent cause is inflamed tendons. Sometimes shoulder pain is the result of injury to another location in your body, usually the neck or bicep. This is known as referred pain. Other causes of shoulder pain include several forms of arthritis, torn cartilage or a torn rotator cuff. Swelling of the bursa sacs (which protect the shoulder) or a frozen shoulder. A trigger point injection is a procedure designed to reduce or relieve the back pain caused by trigger points, which are small knots that form in muscles or in the fascia tissue leading to pain caused by muscle irritation (myofascial pain). 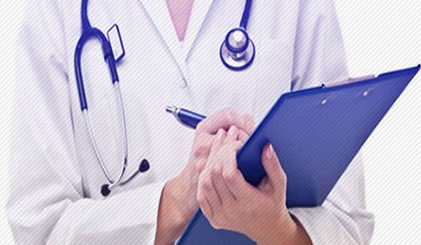 An effective evaluation and consultation can be provided based on the information provided by the patient. Length of consult time varies depending on the complexity of the pain problem. It typically includes questions about your chronic pain history, a review of your chronic (long term) pain history and a general physical examination: our primary focus is on the specific area affected by your chronic pain. We examine you to find areas affected by pain, understand and confirm your medical condition or diagnose new sources of pain. In short we will be able to develop your individual treatment plan. 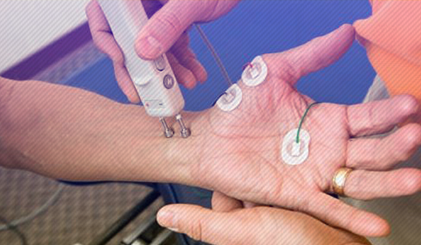 Electromyography (EMG) and nerve conduction velocity (NCV) are electro diagnostic tests often performed at the same time to measure the electrical activity of muscles and nerves. The results of these tests help the doctor to figure out whether you have a muscular problem or a nerve problem. EMG measures how well your muscles respond to those signals and NCS measures how fast and how strong the electrical activity is in a nerve. The test can tell whether a nerve has been damaged. NCS can also help the doctor see how well you’re recovering from a nerve injury. Based on the results an individual treatment plan is prepared. 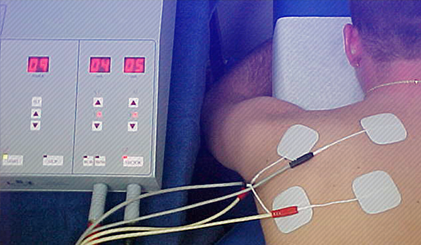 EMG & NCS are minimal discomfort if only be performed by properly trained physicians. Ace multidisciplinary pain facility can help determine if a person is physically ready to go back to work with a Functional Capacity Evaluation (FCE), a scientifically developed, objective set of tests, practices and observations that are combined to measure a worker's physical capabilities and tolerances, also known as a worker's physical demand level. During Most FCEs, some of these measurements are also taken to assess the person; lifting power, push and pull power, how long one can stand or walk, flexibility and reaching, grasping and holding capabilities, bending capabilities, balance capabilities to name few. One cannot manage what one cannot measure. In the case of healthcare, communities must be able to identify opportunities for reducing costs and improving quality, and monitor whether those opportunities are being successfully addressed. Ace multidisciplinary pain facility can serve as a trusted source of actionable information about the cost and quality of healthcare services, the health of the population, and/or the extent to which innovative methods of delivery, payment, and health promotion are being used in the community. Performance evaluation offers policy-makers a major opportunity to secure health system improvement and accountability. Its role is to improve the quality of decisions made by all within the health system, including patients, practitioners, managers, governments at all levels, insurers and other payers, politicians, and citizens as financial supporters. Whether you’re ill or simply need rest, short-term muscle weakness happens to nearly everyone at some point. A tough workout, for instance, will exhaust your muscles until you’ve given them a chance to recover with rest. Muscle weakness happens when your full effort doesn’t produce a normal muscle contraction or movement. It’s sometimes called reduced muscle strength, muscular weakness, or weak muscles. But if you develop persistent muscle weakness, or muscle weakness with no apparent cause or normal explanation, it may be a sign of an underlying health problem. If your brain, nervous system, muscles, or the connections between them are injured or affected by disease, your muscles may not contract normally. This can produce muscle weakness. Pain is our body’s way of warning us that there is a problem and that something isn’t right. Musculoskeletal ultrasound imaging uses sound waves to provide painless but effective pictures of the inside of the body; muscles, tendons, ligaments and joints. Process involves a small transducer (probe) and ultrasound gel placed directly on the skin. High-frequency sound waves are transmitted from the probe through the gel into the body. The transducer collects the sounds that bounce back and a computer then uses those sound waves to create an image. Ultrasound is safe, non-invasive, and does not use ionizing radiation. Spasticity is caused by an imbalance of signals from the central nervous system (brain and spinal cord) to the muscles. It is characterized by tight or stiff muscles and an inability to control those muscles. In addition, reflexes may persist for too long and may be too strong (hyperactive reflexes). For example, an infant with a hyperactive grasp reflex may keep his or her hand in a tight fist. This imbalance is often found in people with cerebral palsy, traumatic brain injury, stroke, multiple sclerosis, and spinal cord injury. Based on your medical history evaluation doctor will look at what medications you have taken and whether you have a history of neurological or muscular disorders in yourself or your family. Several tests can help confirm the diagnosis. These tests evaluate your arm and leg movements, muscular activity, passive and active range of motion, and ability to perform self-care activities. Spasticity condition can result in the inability to move and walk and can even cause frozen joints if left unattended. Work hardening and work conditioning are a highly structured, goal-oriented, intensive individualized intervention program designed to return the employee to work. These programs are multidisciplinary in nature and utilize real or simulated work activities designed to restore physical, behavioural and vocational functions; neuromuscular and musculoskeletal function including strength, power, endurance, joint mobility, ROM, motor control, cardiovascular endurance and functional abilities. The primary objective is to restore physical capacity and function to enable the injured worker to return to his or her pre-injury job. Work Hardening addresses the issues of productivity, safety, physical tolerances and worker behaviours. Disability is defined as the impact of impairment on a person's ability to meet the demands of his or her life. A disability may be temporary or permanent, and partial or total. Impairment does not necessarily imply disability. Accurate evaluation significantly affects the wellbeing of both patients and society, given the impact of disability status on financial remuneration, return to work, personal and workplace productivity, and access for existing and future health care needs. Both treating and consulting clinicians are often asked to evaluate their patients for disability. Input from treating clinicians is crucial to disability evaluation because they often have the most in-depth and longitudinal knowledge of the patient's conditions and function, may be aware of medical and psychosocial contributions to ongoing disability, and can best advice on severity, permanency, and possible accommodations needed for an impairment. 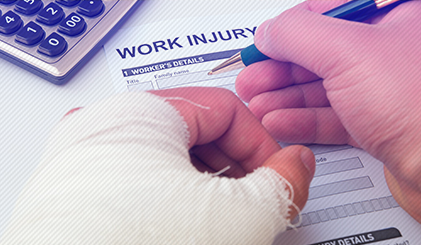 If you were injured on the job and it was someone else’s fault, you have a legal right to recover the costs of your medical care, lost wages and pain and suffering. But how much is your injury worth? 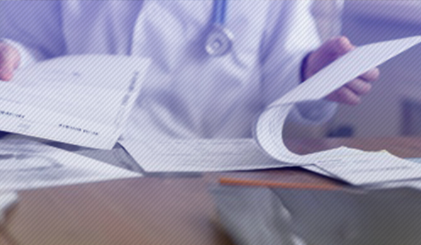 A critical element of assessing your injury’s cost is what’s known as “maximum medical improvement.” After your injury, you are deemed by your physician and your physician only to have reached your maximum medical improvement (MMI) when further meaningful improvement of your work-related illness or injury isn’t anticipated. You are then assigned an “impairment rating” (IR) by your physician as part of your claim. 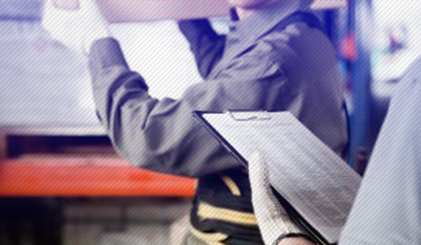 Reaching MMI doesn’t mean you are fully fit and able to return to work in the same manner as before your injury. Rather, it means that your injury is not expected to improve significantly and now you must be assigned an IR by the same physician who determined you’d reached your maximum medical improvement. 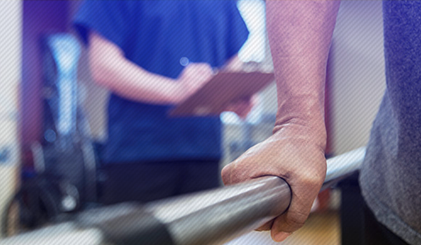 With close control of treatment and close monitoring of rehabilitation and work conditions can optimum results be obtained and maintained. 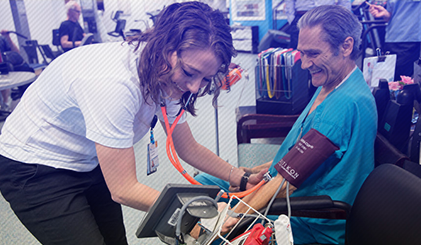 It is a clinically-supervised exercise, education and support program designed to improve the heart health of patients recovering from heart attacks, heart surgery and coronary intervention procedures. Patients receive a thorough evaluation and a program is customized to restore the patient's health and meet his or her individual needs and goal. Recovery is a long-term process and varies from one person to the next. 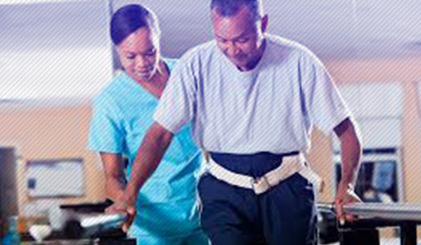 The goal of stroke rehabilitation is to help you recover as much function as possible. To make these changes in the brain you need to train it by repeating specific exercises and activities. 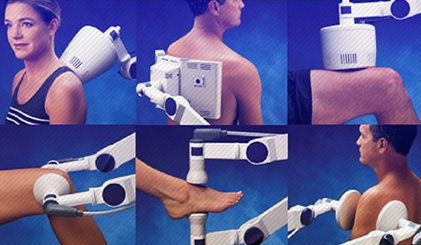 Diathermy is a therapeutic treatment most commonly prescribed for muscle and joint conditions. It uses a high-frequency electric current to stimulate heat generation within body tissues. There are three main types of diathermy: shortwave, microwave, and ultrasound. 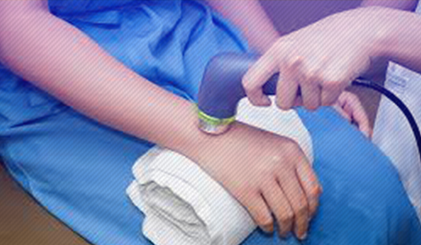 Shortwave diathermy uses high-frequency electromagnetic energy to generate heat and used to treat sprains, strains, bursitis, and tenosynovitis. Microwave diathermy uses microwaves to evenly warm deep tissues without heating the skin. Since it can’t penetrate deep muscles, its best suited for areas that are closer to the skin, such as the shoulders. 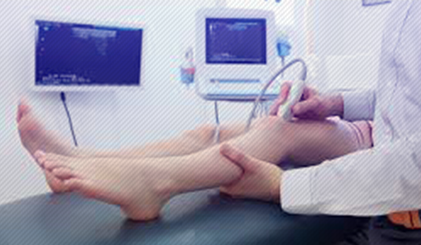 Ultrasound diathermy uses sound waves to treat deep tissue conditions like muscle spasms, joint contractures or adhesions, neuromas and musculoskeletal sprains. Electric stimulation therapy or E stim therapy is a therapeutic treatment that applies electrical stimulation in treating muscle spasms and pain. It can help prevent atrophy and build strength in patients with injuries. It is also helpful in keeping muscles active especially after any type spinal cord injury or strokes. Process involves attaching electrodes on the patient’s skin, causing the target muscles to contract. With electric stimulation, the patient can maintain muscle tone and strength that would otherwise waste away due to lack of usage. Electric stimulation can be muscular, general and transcutaneous electrical nerve stimulation (TENS) are used to accomplish different tasks. Gait and balance disorders are among the most common causes of falls in older adults and often lead to injury, disability and limited quality of life. Your muscles, bones, joints, vision, the balance organ in the inner ear, nerves, heart and blood vessels must work normally for you to have normal balance. When these systems aren't functioning well, you can experience balance problems. However, the balance disorder can be caused by several different conditions and are usually multifactorial in origin and require a comprehensive assessment to determine contributing factors. Balance disorder should not be viewed as an inevitable consequence of aging. 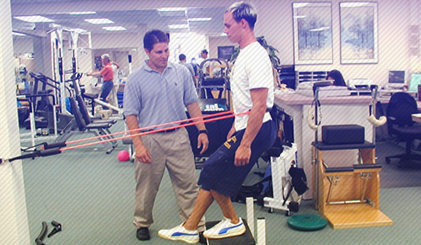 Treatment may include moving joints in specific directions and at different speeds to regain movement (joint mobilization and manipulation), muscle stretching, passive movements of the affected body part, or having the patient move the body part against the therapist’s resistance to improve muscle activation and timing. Selected specific soft tissue techniques may also be used to improve the mobility and function of tissue and muscles. Massage therapy is the scientific manipulation of the soft tissues of the body, consisting primarily of manual (hands-on, sometimes the forearms or elbows are used) techniques such as applying fixed or movable pressure, holding, and moving muscles and body tissues. These techniques affect the muscular, skeletal, circulatory, lymphatic, nervous, and other systems of the body. Neuromuscular Re-Education is a therapeutic technique that is used to achieve a variety of goals, which include improving balance, coordination, posture and proprioception. Proprioception is your sense of the relative position of different body parts. Injuries, repetitive use, poor posture and unhealthy biomechanics can make your movement patters become inefficient. The broad goal of neuromuscular re-education exercises involves restoring a natural mind-body connection by coordinating your mental perception with physical behaviour. Neuromuscular re-education exercises aim to restore natural and energy-efficient movement patterns, optimize joint biomechanics and reduce pain that may result from neuromuscular deficiencies. 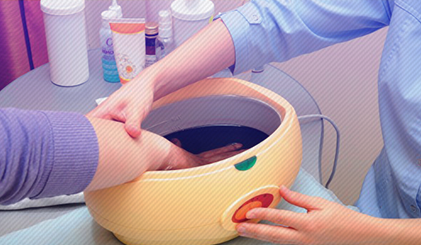 Paraffin therapy is a drug-free, non-invasive method of deep heat therapy which uses warm oil-based wax to provide pain relief to hands, feet, relaxes stiff muscle, providing relief to chronic joint pains, reducing inflammation and treating muscular pain. When heat is applied, the blood vessels expand, bringing more circulation to the affected area, increasing healing nutrients and oxygen at the cellular level and removing waste products that cause inflammation and stiffness, increases range of motion for people with arthritis, bursitis and other chronic conditions that cause pain and stiffness. It is also beneficial for rehabilitation of sports injuries and other physical trauma. 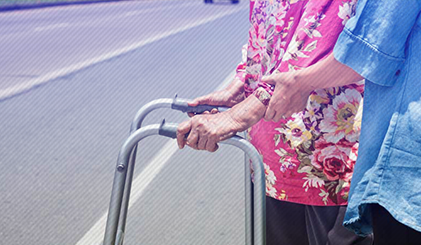 Activities of daily living (ADLs) are basic tasks like walking, feeding, dressing, personal hygiene, ambulating…etc. that must be accomplished every day for an individual to thrive. For each ADL, people can vary from needing just a little help (such as a reminder or “stand-by assist”) to full dependency, which requires others to complete the task for them. Identifying functional difficulties can help us diagnose and manage important health problems. 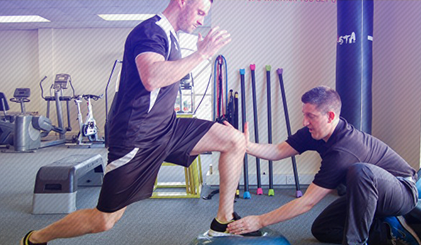 Sports Injury Rehabilitation is a multi-disciplinary approach to the prevention, evaluation, and treatment of injuries. The first step towards recovery is getting an accurate diagnosis. Typically, the initial stage of treatment involves reducing pain and promoting healing. Once pain and swelling are reduced, progressive reconditioning treatment is done. Exercises will be prescribed to target specific goals such as mobility, flexibility training, coordination of balance and joint positioning. As progress is made, the athlete and trainer can work together towards re-establishing strength. Some of the procedures used are manual therapy, muscle reconditioning, therapeutic activities, Bracing and taping (athletic and kinesiotaping)…etc. Therapeutic exercise and therapeutic activities are two common interventions that are used to address dysfunction caused by disease and injury. Although both interventions aim to improve function, they are distinctly different. Therapeutic activities involves the use of functional, dynamic tasks from everyday living to improve range of motion and strength. For example, overhead shoulder movement can be strengthened by reaching up to place a weighted object on a shelf. This is a functional task that directly mimics real-life activity. Therapeutic activities cover a broad range of functional tasks. Movements including pushing, pulling, squatting, bending, lifting, carrying, catching and throwing. Ultrasound is the most commonly used modality to help a patient with their pain. Ultrasound machines generate sound waves that are higher than the frequency we can hear. The effect of these sound waves on the body & tissues have many benefits other than just the potential heating effect. It has been shown to cause increases in tissue relaxation, local blood flow, and scar tissue breakdown. The effect of the increase in local blood flow can be used to help reduce local swelling and chronic inflammation, and, according to some studies, promote bone fracture healing. And loosen up tissues to allow them to respond better to stretch or any other manual techniques that the therapist will be using such as to loosen up tight joints or tight muscles.